So, you’ve written the business plan, crafted your elevator pitch and tapped into a funding stream. You’ve laid the foundation for a new start-up. Now all that’s left is to initiate the launch sequence. Unfortunately, there’s a lot more to start-up success than good ideas and careful planning. In many cases, up-and-coming entrepreneurs quickly realise that it takes more time, resources and – perhaps most importantly – experience than they have to offer. Setting operations in motion is going to require help. But knowing that you need help is only half the battle. From there, you’re faced with an uphill struggle of making the right connections and intuitively knowing who to trust. Then there’s the issue of networking your way to mentors and agencies that are even inclined to offer assistance. Do you need to go to school to become a successful entrepreneur? ‘Entrepreneurship’ is practically a buzzword these days. Schools and training institutes have latched onto this, offering to turn motivated people into successful business operators. But this begs the question: can you really teach someone how to be an entrepreneur?Of course, the answer is complicated. But suffice it to say that business practices, marketing strategies and organisational tactics can all be taught. Passion, drive and ambition, on the other hand, are ingrained in a person. They’re innate. As Entrepreneur magazine states, an entrepreneurial education equips you with the tools needed to develop a successful business model. But as far as experience and motivation are concerned – well, you’re not likely to develop these in a classroom. Which organisational tasks are better off left to others? You’re an idea person. That’s why you launched this entrepreneurial quest in the first place. The problem is any business is laden with organisational concerns that also need to be dealt with. Your time is better off spent on issues like sourcing capital, pitching investors and setting up production. With that in mind, it’s a good idea to charter third-party companies for the less-than-inspirational details. For example, you’re better off letting the accountants in Vanuatu deal with your financial issues. Trying to do it yourself will take up your valuable time. And, unless you are a CPA, you are probably going to make mistakes, miss out on tax incentives and otherwise botch the job. It seems obvious to outsource tasks like this, but far too many rising entrepreneurs convince themselves that they’re better off doing it alone. Bob Crimmins, a successful entrepreneur who writes columns for Xconomy, says that it takes a village to raise a startup. Getting your idea off the ground is going to require outside assistance and intervention. Lots of it. The key is knowing who can help you and how to approach them. If you’re on the market for a mentor, you may want to consider an incubator first. 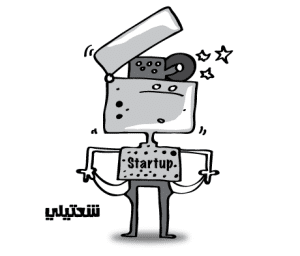 Start-up incubators listen to pitches from ambitious entrepreneurs. If they like what they hear and believe that the idea is viable, then they’ll offer to channel resources and capital into the company for a share of equity. If you’d rather pair yourself with industry hotshot (i.e. a mentor) rather than a company that’s going to carve out a slice of your future successes, just be prepared to look high and low. Find a successful person who operates in the same arenas as you, and approach them. Just remember: this relationship is going to benefit you a lot more than it does them. Take it slow; be respectful; and don’t completely rule out the possibility of working through an incubator.